With the additional airflow and increased manifold pressure from turbos, your stock injectors may not be able to supply the quantity of fuel required to maintain the correct air/fuel ratio for maximum power. Other modifications such as nitrous or alcohol may also require greater fuel flow capacity than original injectors can supply. 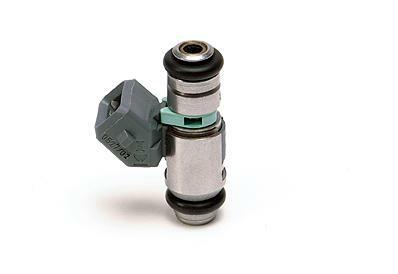 Manufactured by Magneti-Marelli to the highest quality standards, these Pico style injectors offer high flow capacity in a compact size. Edelbrock Pico fuel injectors are perfect for use in all Victor X and Performer X manifolds with secondary fuel rail setups. These Pico style injectors are compact with a quick response time and are compatible with racing gasoline and methanol. They are also ideal for use in high horsepower turbo applications.